Annette Randlemon is the recipient the AANP New Mexico State Award for Nurse Practitioner Excellence and Anita Ralstin is the recipient of the AANP New Mexico State Award for Nurse Practitioner Advocate Excellence. 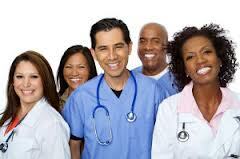 AANP gives these prestigious awards annually to a dedicated NP and NP advocate in each state. 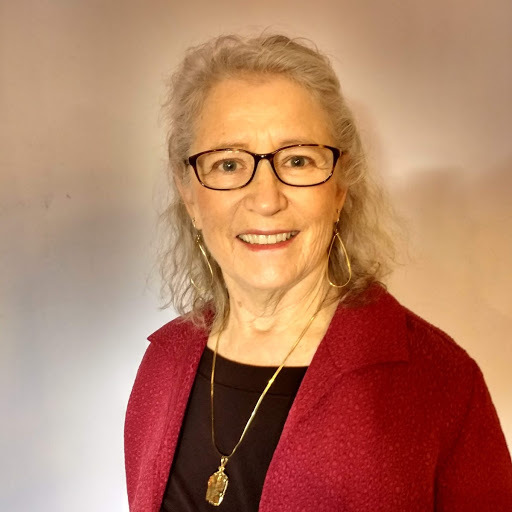 AANP will honor Annette and Anita at an awards ceremony and reception held during the June AANP 2019 National Conference in Indianapolis. NMNPC will honor them at our annual Spring Conference March 31-April 2, in Albuquerque. The State Award for NP Excellence, founded in 1991, recognizes an NP in each state who demonstrates excellence in practice. In 1993, AANP added the State Award for NP Advocate Excellence to recognize the efforts of individuals who have made a significant contribution toward increasing awareness and recognition of the NP role. Annette Randlemon, MSN, FNP-BC has been caring for the women of San Juan County in northern New Mexico for more than 20 years. Her colleagues recognize her as a dedicated, dependable and incredibly caring NP whose patients often say she is the only reason they continue to come for their preventative wellness screenings. Ms. Randlemon retired from clinical practice in 2018 but continues to serve as a mentor to the NP who took over her patients’ care, contributing to her profession in service not only to her patients, but also to the clinicians following in her footsteps. Her sense of humor and wit helped her create an environment of trust and ease with her patients during examinations that many women fear and avoid. 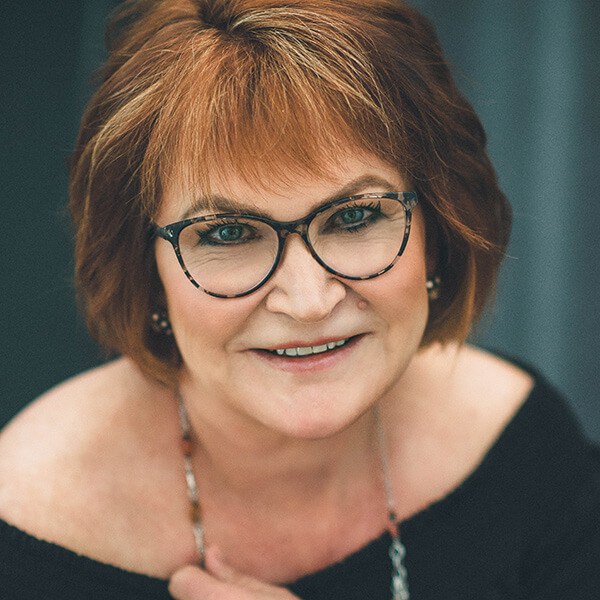 As one of the only providers to offer hormone therapy and comprehensive care to women in the Four Corners area, she made sure that women understood their options across the lifespan. Ms. Randlemon is not only an NP, but also a business owner, wife, mother and grandmother who has been a true advocate for women and wellness in her community. 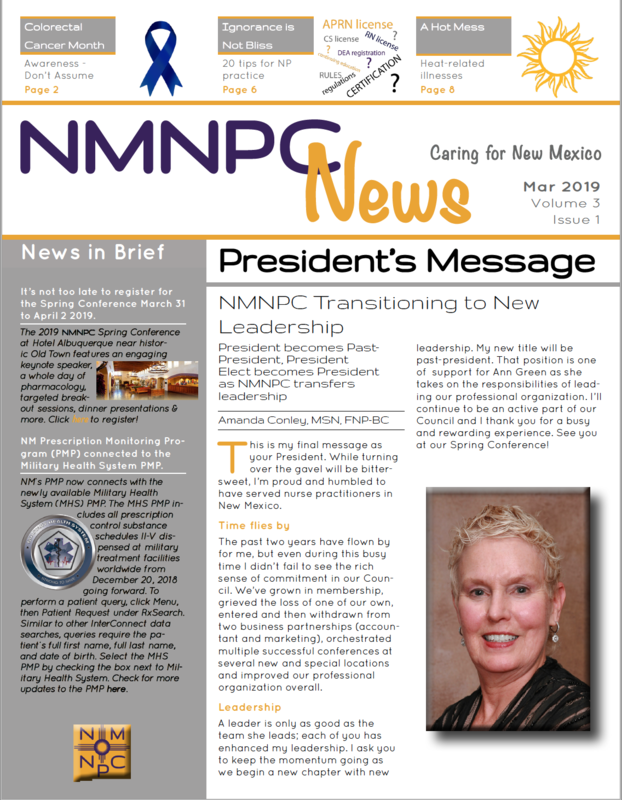 Anita Ralstin, MSN, FNP-BC has been active in NMNPC for many years, serving in many positions and consistently representing the Council and NPs as an articulate advocate. In addition to working at the state level, she represented New Mexico at the national level, serving as the AANP NM State Representative. With an extensive clinical background, including many years of practice at the New Mexico Heart Institute, Ms. Ralstin is a knowledgeable, experienced and compassionate clinician and a strong advocate for her patients. She excels as an advocate for NPs and her profession and her colleagues consistently call on her when they need an articulate, passionate and knowledgeable expert spokesperson. She is a poised, professional representative of her profession to legislators, government officials and the public. While many NPs are knowledgeable and compassionate, Ms. Ralstin is among those who are also persuasive, expressive and effective communicators who represent NPs in an exemplary manner. NPs continue to gain recognition as capable and valuable health care providers because of NPs like Anita who have helped advance that recognition.